The well designed Clubhouse is a relaxing place to start or finish your round. Overlooking the practice putting green, a wonderful balcony runs the full width of the clubhouse giving great views of the first hole, the 9th and the 18th green. A lovely spot to sit with a cool drink on a warm summer’s day. 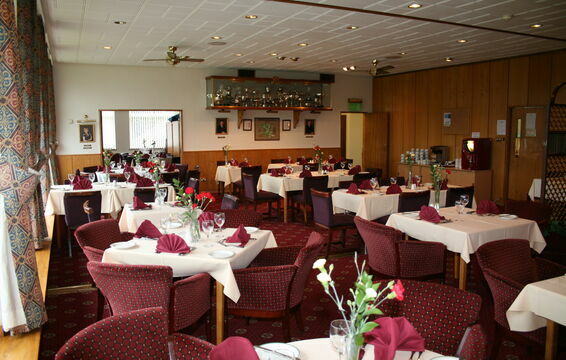 The friendly bar staff always make you feel welcome and sandwiches, light and full meals are available at your bar table or within the more formal restaurant area. 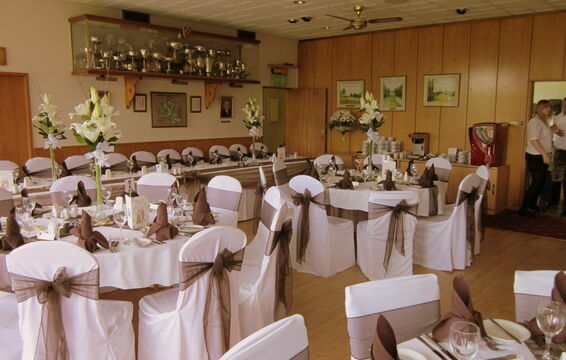 The Club House can be transformed into a wonderful Wedding venue. 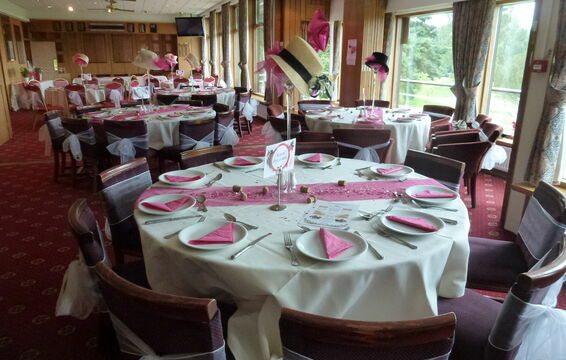 Or into a lavish venue for Ladies Ascot Day. Or just a place to relax and enjoy lunch with friends discussing those puts you missed!! 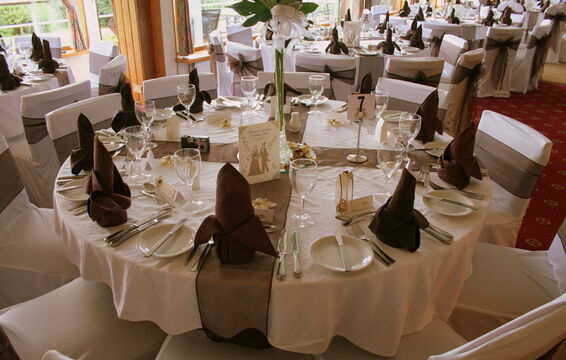 To read more information about our restaurant and to view our catering menu please click here .